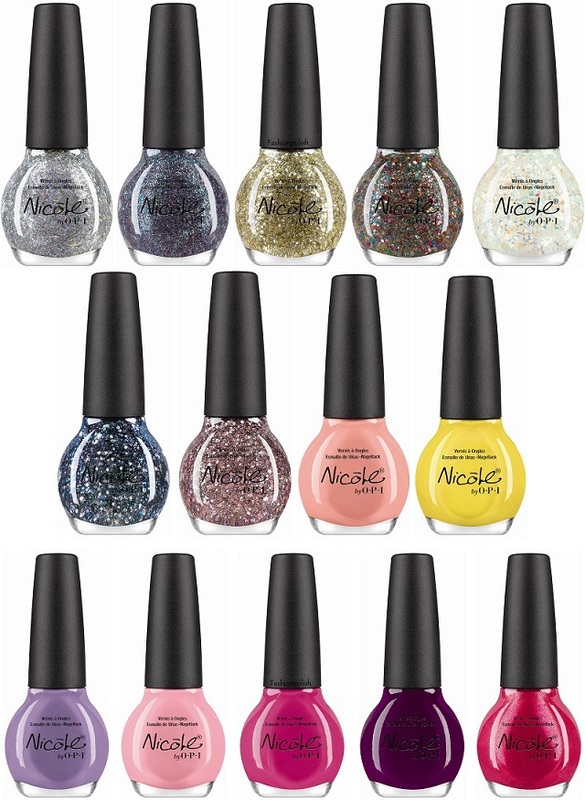 Nicole by OPI announces the launch of 14 new nail lacquers inspired by actress and singer Selena Gomez. The line features shades designed to capture Selena’s sweet yet spunky personality, from soft pink and peach hues to bright glitter and confetti lacquers. “Selena is an ideal partner forNicole by OPI. Millions of fans love her for the same reasons we do; she’s smart, talented, funny – and has an incredible sense of style,” explainsSuzi Weiss-Fischmann, Nicole by OPI Executive VP & Artistic Director. “She has that classic ‘girl-next-door’ appeal, but she’s also edgy and fun – just like theNicole consumer. Nicole by OPI Nail Lacquers and Nail Treatments contain no DBP, Toluene, or Formaldehyde.Nicole by OPI formulas are long-lasting, fast-drying, and salon-quality. Selena Gomez lacquers will be available January 2013 for $7.99 each at retailers including select Target, Walmart, CVS, K-mart, Rite Aid, ULTA, Sears, Meijer, Fred Meyer, Kroger and H-E-B locations. In Canada, this line will be available for $10.99 each at Shoppers Drug Mart, Walmart Canada, Jean Coutu, Loblaw, and London Drug. For more information, visitnicolebyopi.com. Follow Nicole by OPI on Twitter @NicoleByOPI and become a Facebook fan! The last several years have been a whirlwind for actress, singer Selena Gomez. Wrapping up her three time Emmy winning television series, releasing three albums and launching a film career. Not to mention creating her own fashion line and fragrance. In addition, charity and giving back have always been important to Gomez and she is a proud UNICEF Ambassador. 2013, promises to be an exciting year for Selena, as she will drop her fourth album and be seen on the big screen in three films. Looks like some nice colors. Lovely spring colours :) And glitters are always good of course! I can't wait to see swatches of these! i think a few are going to make it onto my wishlist for sure!